I moved my desk into our living room last week and surprise surprise the children followed me in here. Ha! I just can't escape. I used to take full control of the family room but since the switch I've given it over to Matthew. Our big white sofa is his favorite nap spot and he's finally got the tv back. 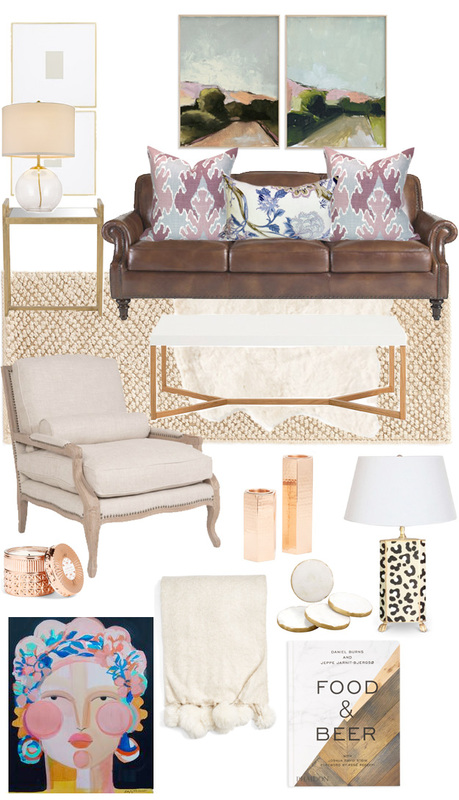 My new goal is to lady up the leather sofa and create a warm and inviting office space. I know many of y'all have to work around a leather couch so we might as well embrace it. And while I can't say I'd ever chose one over my favorite white sofas, it's pretty dang nice that I can clean up after the kids with a clorox wipe and not spot remover and three three loads of laundry.